Perfectly in tune with the needs of the modern day aficionado, Xikar cutters are designed to complement every cigar smoker while providing signature performance. Designed to be both comfortable in the hand and well-balanced for a perfect cut, Xikar cutters will easily cut a 54 ring gauge cigar in half and depending on how much cap you cut, they will cut up to a 58 ring gauge cigar. 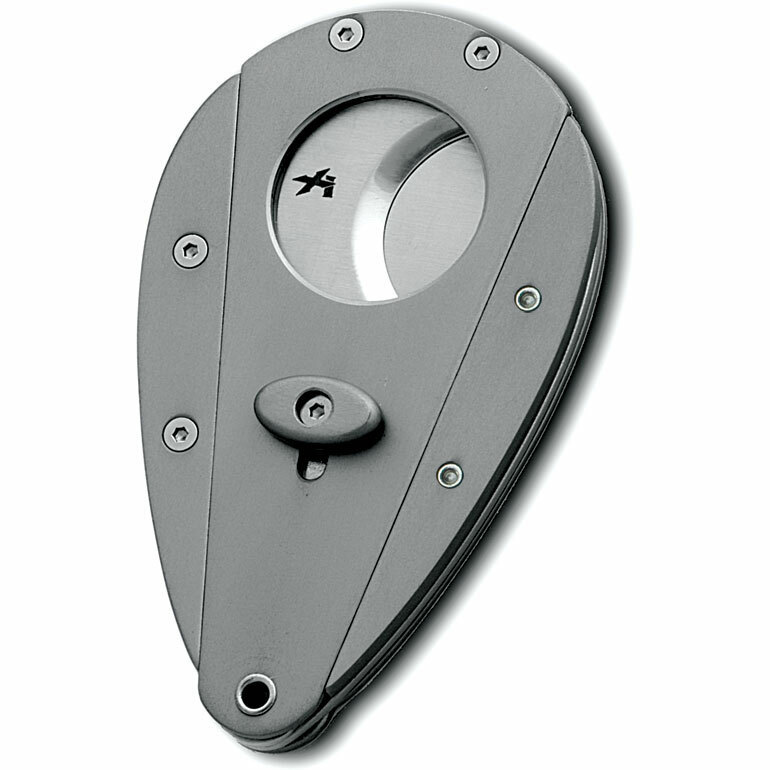 The HRC57 spring-loaded, stainless steel blades on this Xi1 cutter provide the finest cigar cut with power, efficiency, and ease of use. The ergonomic aluminum body features an impressive Titanium color finish.